Laughing and relaxing with coworkers helps create a positive workplace morale, increases productivity, and improves employee health. And when employees enjoy coming to work there is a natural reduction in stress, which relates to less missed days and lost work for you. Each hoop class is designed around the needs of your employees, with a focus on movements that help stretch and relax tight neck and back muscles from working at a computer all day. 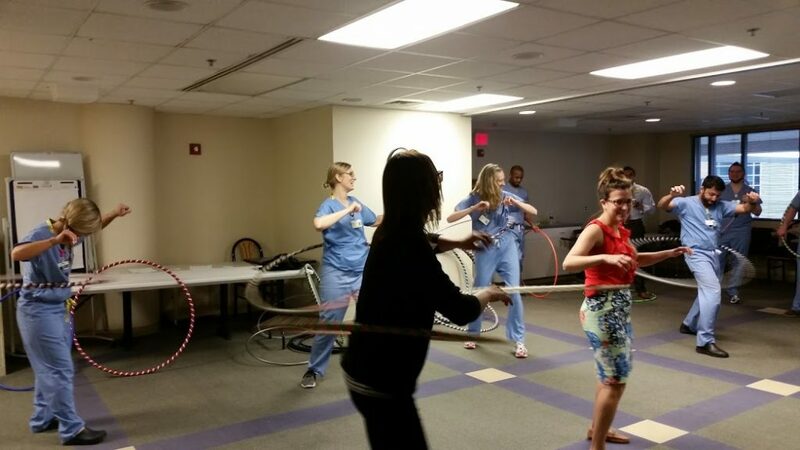 A hula hoop fitness class is an excellent before-work or mid-day workout that will leave your employees energized and refreshed. schedule a hoop dance event at your office today. Book Lansing Hoops for your next event today! How can we help you improve your company wellness program?